15 Purchases in last 24 hours! Your child will feel like a true superhero in this Spider-Man Homecoming - Spider-Man Children's Costume. Includes a muscle chest jumpsuit, with boot tops and cuffs, and a mask with hood. Experience real super powers with Spiderman and keep swinging with happiness. When it comes to Superhero costumes, Spiderman is always our first choice. Spiderman is not a high maintenance Superhero actually he is just a friendly neighbour who can help you with anything. Be your kid's hero and select special costume for him this year. Boys got huge imaginations and creative minds. They look for same in their party costumes. 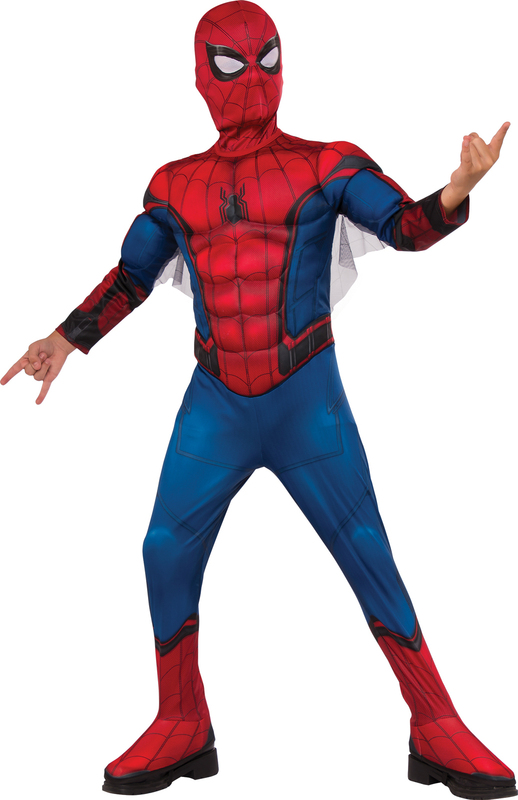 Halloween fun begins with our costumes collection and your excitement starts with our Spider-Man Homecoming - Spider-Man Deluxe Muscle Children's costume.